The Supreme Court on Friday held that merely because a man remarried and is residing with second wife’s child, he could not be deprived of the custody of his child. 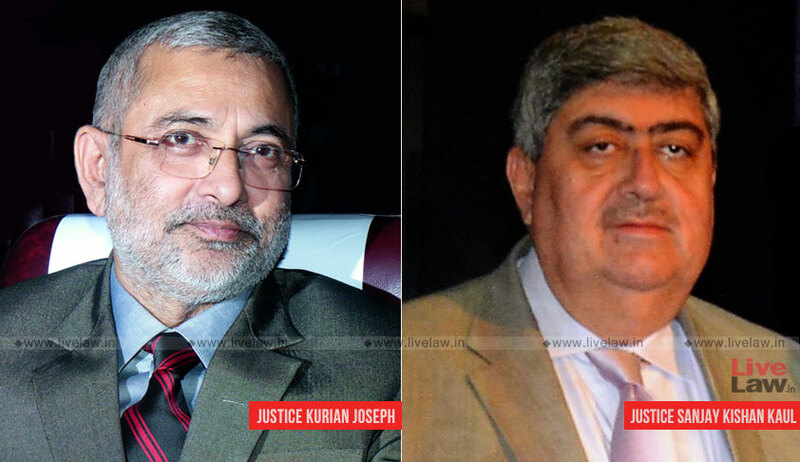 The bench comprising of Justice Kurian Joseph and Justice Sanjay Kishan Kaul were considering a child custody case between a doctor couple, both serving in CRPF. The couple, who got two kids, parted after they obtained divorce by mutual consent in December 2016. As per the decree, it was agreed that custody of both children would be with the husband. It was also agreed that the husband would provide for education, medicines and marriage of the son while the wife would do the likewise for the daughter. All started with a demand raised by the husband asking the wife to honour the commitments made during the settlement. She responded to this letter stating that the consent decree was not acceptable to her, and also alleged that the transfer of children to the boarding school was a unilateral and that the expenses quoted were exorbitant. She filed custody applications which later reached the High court. The High court, taking note of the second marriage of husband and also the fact that the children were sent to a boarding school, directed that the children would remain in the custody of the mother for a period of one year. This order was assailed by the husband, before the apex court. The court also noted that as due to the exigencies of his service condition that the children had to be put in a boarding school for some time, which exigency also does not remain at present. “The second wife of the appellant is an educated lady. Merely because the appellant has decided to go ahead in life, and has had a second marriage, it provides no ground whatsoever to deprive him of the custody of the children as agreed upon between the appellant and respondent No.1, especially when he has been looking after the children and has not gone back on any of his commitments.”, the bench added. The bench then set aside the High court order observing that the rights and obligations as envisaged in the decree of divorce by mutual consent will bind both the parties. “We may also invite attention to Order II Rule 2 of the Code of Civil Procedure, 1908 specifying that where a plaintiff intentionally relinquishes, any portion of 11 his claim, he shall not afterwards sue in respect of the portion so relinquished”, the court said.